Ready for a healthy and delicious Halloween snack? 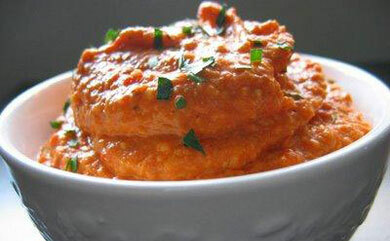 Check out this seasonal hummus made with pumpkin, garlic, cinnamon and more. It’s loaded with vitamins A and C, vital antioxidants, and flavonoid poly-phenolic antioxidants such as lutein, xanthin, and carotenes. This recipe is sure to make your guests and “little monsters” alike howl happily at the moon! In a medium bowl, combine all ingredients except pita and vegetable sticks. With an immersion blender, purée for about 2 minutes, scraping down the sides of the bowl as necessary with a rubber spatula. Serve with gluten-free pita and vegetable sticks.